Publication of the Report of the Inter-departmental Committee to establish the facts of State involvement with the Magdalene Laundries (aka the‘McAleese Report’). The report estimates that well over 10,000 girls and women spent time in Magdalene Laundries, that the State was involved in imprisoning more than 25% of the girls and women and funded and held laundry service contracts with the institutions which they acknowledged, even at the time, relied on forced unpaid labour. I am also conscious that many of the women I met last week want to see a permanent memorial established to remind us all of this dark part of our history. I agree that this should be done and intend to engage directly with the representative groups and of as many of the women as possible to agree on the creation of an appropriate memorial to be financed by the Government separately from the funds that are being set aside for the direct assistance for the women. Justice for Magdalenes Research (JFMR) writes to Tánaiste and Minister for Justice Frances Fitzgerald requesting assistance from the Department of Justice to organise a meeting of the Magdalene survivors and a consultation on memorialisation. JFMR writes to Taoiseach Enda Kenny requesting his assistance in organising a meeting of the Magdalene survivors and a consultation on memorialisation. JFMR writes to Taoiseach Leo Varadkar requesting his intervention to ensure that the Magdalene restorative justice scheme is implemented as promised, including through a meeting of Magdalene survivors and consultation on memorialisation. In May 2013, Mr Justice John Quirke made recommendations to government regarding the contents of an ex gratia ‘restorative justice’ scheme for Magdalene survivors. The Quirke report was made public and distributed to Magdalene survivors. In June 2013 the government agreed on the Dáil record to accept all of Mr Justice Quirke’s recommendations ‘in full‘ (see also: https://www.kildarestreet.com/debates/?id=2013-06-27a.384&s). In order to obtain financial payments from the Magdalene ex gratia ‘restorative justice’ scheme (the Scheme), Magdalene survivors have been required to sign legal waivers abandoning all rights of action against the State or any State agency regarding their experiences in Magdalene Laundries. However, the Department of Justice and the government as a whole has failed to fully implement the Scheme. In fact, whole aspects of it remain un-implemented to date. Since 2014, JFMR and individual members of JFMR have been expressing concerns regarding the administration of the Scheme, including in newspaper opinion editorials, public reports to United Nations bodies, briefing notes to all TDs and Senators, correspondence to the Department of Justice and correspondence to Dublin City Council. While the Department of Justice is failing to implement the aspect of the Scheme concerning a memorial, the last Magdalene Laundry building in Ireland with its contents largely intact is currently subject to a planning permission application for demolition by a commercial property developer. Recent video footage of the interior of the Donnybrook Magdalene Laundry building suggests that a large volume of paperwork remains inside, alongside artefacts from its time as a Magdalene Laundry before the Religious Sisters of Charity sold the building in 1992. JFMR has made detailed submissions to Dublin City Council, calling for consultation with Magdalene survivors regarding the fate of the building and its contents. The Archaeological Assessment accompanying the planning permission application cautions that women’s remains may be buried, unmarked, on the site. It further notes the heritage significance of the laundry site, including the building’s internal features and machinery relevant to its past use. JFMR is deeply concerned that Dublin City Council (DCC) has put the former Sean McDermott Street Magdalene Laundry building up for sale while the Department of Justice is failing to establish a memorial in consultation with Magdalene survivors. More recently, DCC agreed an emergency motion to call a halt to the sale in order to facilitate a consultation process with Magdalene survivors. Mr Justice Quirke’s very first recommendation was that ‘Magdalen women should have access to the full range of services currently enjoyed by holders of the Health (Amendment) Act 1996 Card (“the HAA card”)’. The HAA card was created in 1996 for those who contracted Hepatitis C through State-provided blood products. It gives access to numerous private (as well as public) healthcare services and wide-ranging access to medicines, drugs and appliances. Mr Justice Quirke included a guide to the full range of services available to HAA cardholders at Appendix G of his report. His first recommendation continues: ‘Details of the range, extent and diversity of the community services to be provided to the Magdalen women are described within Appendix G’. JFMR voiced its concerns (available here and here) at the time that the Redress for Women Resident in Certain Institutions Act 2015 (‘RWRCI Act’) was being debated in the Dáil and Seanad that it did not provide for healthcare equivalent to the HAA card standard, as recommended by Mr Justice Quirke. Instead, it appeared that the RWRCI card for Magdalene women was almost identical to an ordinary medical card – which the majority of the women already hold. JFMR wrote to the National Director of Primary Care at the HSE on 25 February 2016 to ask for clarification regarding all ways in which the women’s entitlements under the RWRCI card differ from those already available under the standard medical card, as many women in contact with JFMR – and indeed JFMR – are still struggling to understand this. JFMR asked for a written response so that the information can be easily disseminated to survivors and also for a meeting with the National Director. JFMR received an acknowledgement letter from the National Director’s office on 15 March 2016 but has received no subsequent, substantive, response to date. JFMR notes from the Minister for Justice’s reply to a Parliamentary Question on 2 February 2017 that, according to the Minister, “[t]he HSE has administrative arrangements in place for health and social services for women living outside Ireland”. It is JFMR’s understanding that such arrangements have not, in fact, been put in place for all Magdalene survivors residing outside of Ireland. The Department of Justice announced on 24 June 2014 that ‘access to equivalent medical services for participants living abroad will be dealt with on an administrative basis by the HSE’. Furthermore, the Irish Independent reported on 25 June 2014 a spokesperson for the government stating that the State would pay for health insurance for Magdalene survivors living abroad. Mr Justice Quirke’s report is explicit that his recommendation regarding health and community care should apply to ‘each of the women who were admitted to and worked in a designated Magdalen laundry’. Mr Justice Quirke recommended that, under the Scheme, Magdalene survivors should be ‘put…in the position that they would have occupied had they acquired sufficient stamps to qualify for the State Contributory Pension’. JFMR submits that the Department should have read this recommendation as requiring the backdating of pension payments to retirement age, rather than to the beginning of the Scheme’s administration. JFMR is concerned that the Department of Justice has deemed at least 19 women to lack sufficient capacity to apply to the Scheme and that these particularly vulnerable Magdalene survivors are being prevented from benefitting from the Scheme. The Minister for Justice chose not to propose legislation to provide these women with assistance and advocacy in applying to the Scheme, preferring to delay the processing of their applications until the Assisted Decision-Making (Capacity) Act 2015 is in operation. JFMR has requested that these women, and all those currently living in the custody or care of the religious congregations responsible for operating the Magdalene Laundries (many of whom do not have close family members), be provided with personal advocates under the Scheme. JFMR suggests that the advocates might have access to an additional fund to provide support to the women while they wait for admission to the Scheme. JFMR is troubled that the Department has excluded from the Scheme women who were forced into unpaid labour in Magdalene Laundries as children, while registered on the rolls of children’s residential institutions located in proximity to Magdalene Laundries. While accepting that these women worked in Magdalene Laundries, the Department rejects their applications on the basis that the Scheme is for women who ‘were admitted to and worked in’ Magdalene Laundries and, according to the Department, these children were not ‘admitted to’ the Laundries. The Department’s decision is based on an irrationally narrow interpretation of the meaning of the words ‘admitted to’. These women have suffered doubly as a result of their experiences in both the children’s institutions and the Magdalene Laundries. The fact that children were transferred on a daily, or otherwise repeated temporary, basis to Magdalene Laundries when they should have been receiving education and care in children’s institutions was not acknowledged in the Ryan Report or in the matrix used by the Residential Institutions Redress Board. Nor was this practice acknowledged in the McAleese Report. The women who are continuing to seek inclusion in the Scheme on the basis of this practice are drawing attention to previously hidden systematic forced labour, denial of education and inhuman or degrading treatment of children. Their exclusion from the Scheme amounts to wilful ignorance of their experiences – in direct contravention of the intent behind the Taoiseach’s and Tánaiste’s apologies on 19 February 2013. JFMR highlights that neither the Department of Justice nor the Department of the Taoiseach has taken steps to release State records regarding the Magdalene Laundries’ operations to the public from the archive of the Inter-departmental Committee to establish the facts of State involvement with the Magdalen Laundries (‘the IDC’). These records could be of use to women seeking to challenge their exclusion from the Scheme and their production is an important aspect of the State’s obligation to ensure reparation – including access to the truth – following systematic human rights violations in the Magdalene Laundries. Chapter 6 of the IDC Report is devoted to the subject of the IDC’s archive. The Chapter emphasises the ‘scattered nature’ of the State records regarding the Magdalene Laundries and states that ‘maintenance of these copies together in a single location will be a concrete outcome to the Committee’s work and may be a resource for future research.’ The Chapter discusses the inclusion of some anonymised data from the religious congregations’ archives, noting that ‘these records would also be of interest to researchers and historians, now and in the future’. It states that the IDC archive will be held in the Department of the Taoiseach and that access will be subject to restrictions on the basis that a number of the records contain ‘sensitive personal data’. …The archives of the Inter Departmental Committee are in the Department for safe keeping in accordance with the wishes of the Committee. They were not created by this Department; the Department was not represented on the Committee; and the work of the Committee is not connected with the functions or business of the Department. I am upholding this decision, as I consider the records are not held by the Department within the meaning of section 2(5) of the Act…the archive comprises copies of material from other Departments and agencies as well as material generated by the Committee…You ask about the archive being made available in the future…From the point of view of good practice, the arrangements will be reviewed in about five years. JFMR is disappointed in the extreme that, since the Taoiseach’s State apology, the Minister for Justice and her Department have issued numerous public statements denying any State responsibility for human rights abuses in the Magdalene Laundries. The State has never established an independent investigation into abuse in the Magdalene Laundries (the IDC’s remit was limited to investigating State interaction with the institutions). The Minister and Department for Justice now rely on the State’s own failure to investigate in order to justify their false claim that there is no publicly available evidence of State responsibility for systematic abuse in the Magdalene Laundries. Although there was no finding in the McAleese Report which indicated that the State had any liability in the matter, following the report’s publication the Taoiseach issued a State apology to the women. The IHREC is concerned that the rights of more than 11,000 women were systematically violated while living in institutions known as Magdalen Laundries. The IHREC is of the view that these women and girls were subjected to mistreatment and were victims of forced or compulsory labour in contravention of Ireland’s obligations under the International Labour Organisation (ILO) Forced Labour Convention and, as a result, were denied their basic rights to education, fair wages and social security. The IHREC also notes that while an Inter-Departmental Committee (IDC) to establish the facts of the State involvement with the Magadalen Laundries, was established in 2011 on foot of a recommendation by the UN Committee Against Torture, it fell short of the full independent statutory mechanism to investigate the State’s role in the Laundries as recommended by the former IHRC in its initial assessment of the system. The Department of Justice accepts that children and women worked in Magdalene Laundries. The Taoiseach and Tánaiste also acknowledged this fact in their apologies on 19 February 2013. The IDC Report (McAleese Report), Chapter 19, contains evidence of girls and women being forced constantly to carry out ‘heavy and difficult’ work at commercial laundering, sewing and making handcrafts, including rosary beads and clothing. Chapter 19 cites women’s complaints of being tired, ‘soaking wet’ and too small to operate laundry machinery safely. The IDC Report clarifies that girls and women were not paid wages for the work they were forced to carry out. Chapter 20 states that ‘[w]ages were not paid either to the girls or women who worked in the Laundries or to the members of the Religious Congregations who also worked there.’ The Chapter also notes that the Conditions of Employment Act, 1936, exempted the religious congregations from the legislative requirement to pay wages to the girls and women working and living in Magdalene Laundries. The IDC Report provides evidence of punishments in the Magdalene Laundries. Chapter 19 cites evidence of some women being shaken, poked or ‘dug’ at with implements, rapped on the knuckles, slapped or punched, forced to kneel for several hours, put in ‘isolation’, confined in a padded cell or forced to lie and kiss the floor, having soiled bedsheets pinned to one’s back, or having one’s hair cut. The Chapter also includes some of the religious congregations’ evidence regarding punishments, including prolonged standing and kneeling, and transfer between institutions. ‘The State’s culpability in regard to forced or compulsory labour and/or servitude in the Laundries appears to be threefold. Firstly; at the administrative level, it failed to outlaw and police against such practices, including through criminal sanction. Secondly; the State or its agents placed girls and women in the Laundries knowing that such girls and women would be obliged to provide their labour in those institutions, and then thirdly, the State further supported these practices by benefiting from commercial contracts with the Laundries’. An investigation by the Ombudsman into the administration of the Magdalene ex gratia scheme published on 23rd November 2017 found that the scheme has been ‘maladministered’ by the Department of Justice. The Ombudsman’s investigation followed a number of complaints made by survivors who had been refused access to the scheme. JFMR strongly welcomes the Ombudsman’s report, however there are additional shortcomings to the Department’s implementation of the Magdalene scheme, in particular, a) the lack of advertising of the scheme in the United States and other countries, and b) the current healthcare provisions, which fall far short of what was originally recommended and agreed to by the State. JFMR raised these and other issues in a submission to the Office of the Ombudsman while its investigation was ongoing. 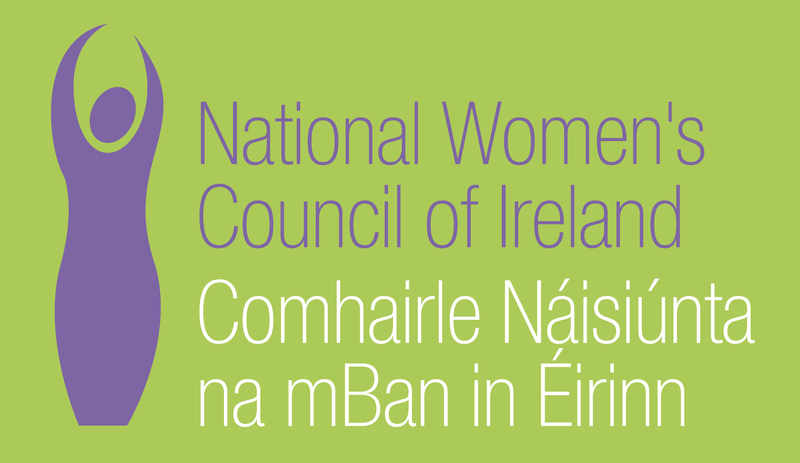 A press release from The Irish Council for Civil Liberties (ICCL), Justice for Magdalenes Research (JFMR), Sage Support and Advocacy Service (SAGE), the National Women’s Council of Ireland (NWCI) and Amnesty International Ireland in reaction to the report is available here.